The Armenian Courtyard is one of the oldest structures in Jaffa. 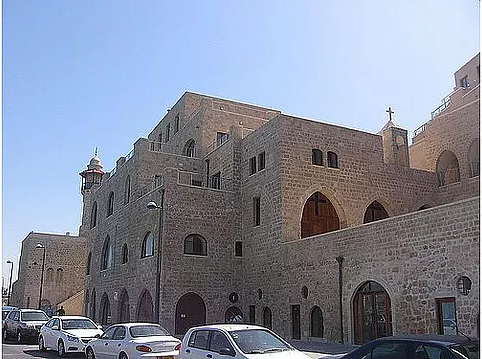 The abbey is built in the location where, according to Armenian tradition, stood the home of Simon the Tanner, in Netiv HaMazalot Alley, west of St. Peter’s Church. 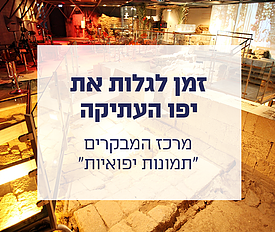 The abbey and hostel stand on ancient remains and were expanded in 1663 by the Armenian Patriarch of Jerusalem. In 1799, following Napoleon’s capture of Jaffa, plague spread among his soldiers, and those afflicted were quarantined in the Armenian Courtyard, which became a hospital. According to the tale, Napoleon even came to visit his soldiers. Nowadays, the abbey is used by the small Armenian community that still remains in Jaffa.